Combine all ingredients in a pitcher and refrigerate until chilled. Pour into a punch bowl. 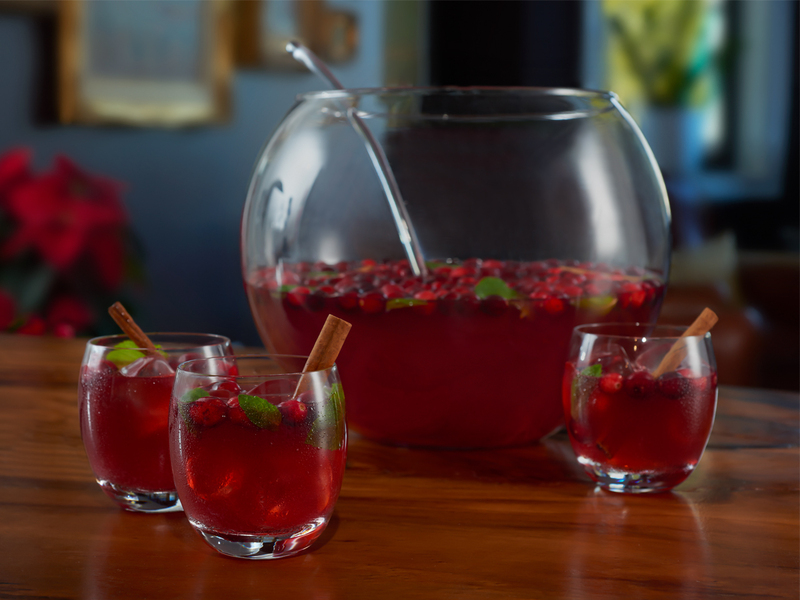 Serve over ice with additional mint sprigs for garnish and a candy cane straw for holiday cheer. Makes 17 servings.